Choosing the best lightweight stroller isn’t easier than choosing the first stroller at all. Mostly because there are plenty of crappy and poor light strollers, that are rather for dolls than kids. You don’t want that kind of stroller for your baby right? 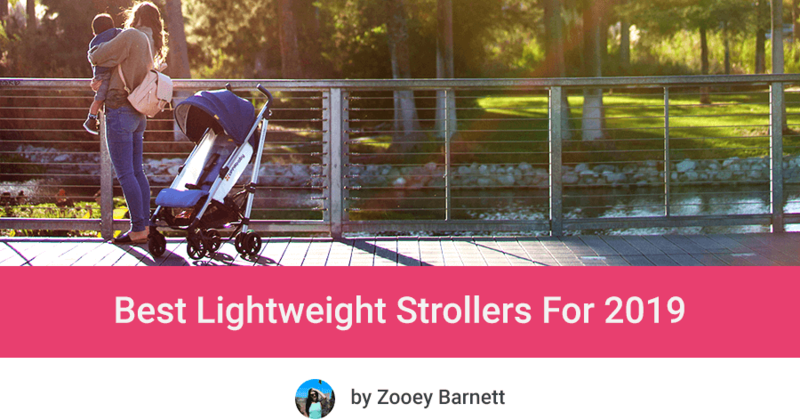 I’ve tested literally dozens of strollers to make my list of the best lightweight strollers in 2019 and show you only high-quality, safe and reliable models. Some of them are suitable from birth, while others can serve you as a second stroller when your child is at least 6 months old. Few of them fold up so tiny that you can even take them on board on many airplanes! And what’s the most interesting finding: some of these light strollers are suitable for daily use and can serve you as your only stroller! Here’s a short summary of my research on single strollers under 18 lbs. Below you can find more detailed reviews. 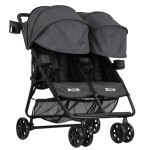 To see best double lightweight strollers click here. Tiny fold & only 13 lbs! Smallest fold in the World – It will fit in your handbag! Ranking: What Is The Best Lightweight Stroller For 2019? How to choose the best lightweight stroller for toddlers? Where will you go for a stroll? How long and how often will you use this stroller? 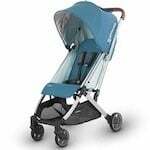 This is an example of more advanced lightweight stroller that has many features which provides convenient using and riding. This stroller is compatible with many infant car seat (but we have to buy an adapter) and has an option of installing a Newborn Pack (also sold separately). YOYO+ is a good long-time investment. Use YOYO+ from birth to toddler and don’t spend money on another stroller! Folding BABYZEN YOYO+ is pretty simple and after that we can use the strap to carry the stroller on a shoulder. Folded stroller takes up little spaces and is very convenient to storage or transport. It is very popular among parents traveling with their kids, because it fits in airplane overhead compartment. Its folded dimensions are: 20.5” x 17” x 7”. This stroller weighs only 14 lbs which is not so much for such a good-quality and well-equipped stroller. It has reclining seat with soft padding and it comes with a rain cover. In my opinion, this is the best lightweight stroller on the market right now, considering its useful features and compact size for travel by plane. BABYZEN YOYO+ is a high-end product. Make sure it really meet your needs! Check, what parents who own this stroller think about it, by reading customer reviews on Amazon or take a look on my summary below. I also check other parents opinions before buying product for my babies. I’ve read many reviews of this stroller and I must tell you, it’s getting more and more popular! Here are the main advantages and disadvantages mentioned by other parents. This is a lightweight stroller with small wheels so it may be challenging to go over thick grass or harsher terrain. Moreover, it’s one of the high-end products. 1. It meets carry-on regulations for most of the airplanes. Other parents will envy you that you can take your stroller on board. 2. Although this is a small and light stroller, it is equipped like a full-sized stroller, so it is convenient also for everyday use. You won’t need to buy another stroller! 3. Thanks to so many useful features traveling with a baby will be move easy and enjoyable. BABYZEN YOYO+ is a high-end product. Before you order it, make sure it really meets your needs. You can learn more in my full review of BABYZEN YOYO+. Many parents often ask about the differences between Nano and YOYO 2017. Here is my comparison: Mountain Buggy Nano vs BABYZEN YOYO+ 2017. 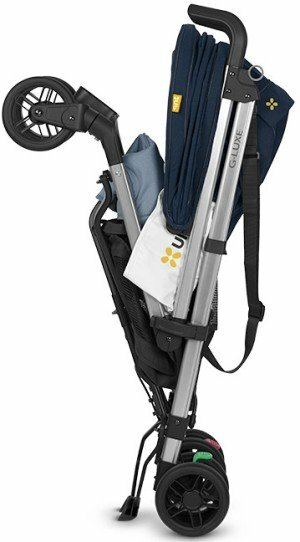 My ranking of best lightweight strollers 2019 wouldn’t be complete if I didn’t include GB Pockit Plus! This new version includes all the features that parents were missing at the original GB Pockit. Other features like small wheels, non-adjustable handles, folding mechanism and tiny basket have stayed the same. It’s really awesome that the new GB Pockit Plus has all the features that original version were lacking, but they make it a bit heavier. The new version weighs 13 lbs, which means it’s 3.5 lbs heavier. Of course it’s still lightweight and easy to carry. You probably wonder if these upgrades have affected fold size. Fortunately GB Pockit Plus is ultra-compact after folding and only slightly differs from the original GB Pockit (12.5″ x 7.8″ x 14.9″ instead of 11.8″ x 7.1″ x 13.8″). You’ll still be able to travel with this stroller, take it as carry-on, put behind the driver’s seat or fit in a small car trunk. You can even store it under the table in restaurant or simply fit it in your handbag. Good thing is that now GB Pockit Plus makes traveling not only with toddlers, but also with newborns, much more easy! Every time I check GB Pockit Plus on Amazon it has more and more customer review, both positive and negative ones (don’t forget to check on your own the current rating). There are different opinions about this new version – below you can read what features parents love the most and what are their main concerns. 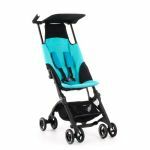 The new version is still not suitable for uneven surfaces, the wheels are the same size and there’s no suspension so the stroller shakes on bumps. 1. Thanks to compatibility with carrycot and infant car seat, you can use this lightweight stroller for newborn baby. 2. Storing and transporting it is a piece of cake. 3. Perfect for travel and trips to Disneyland with older and bigger kids. If you want to read more about GB Pockit Plus features and see more real photos – check my full review. You’re a fan of UPPAbaby brand, but you can’t have full-sized stroller like VISTA or CRUZ, yet need something suitable from birth? UPPAbaby MINU will be perfect solution for you. This high-quality lightweight stroller is compatible with infant car seats, as well as allows to attach special carrycot for newborn baby (all sold separately). At the same time, it weighs only 14.8 lbs and features pretty compact fold – ideal for small apartments and cars. UPPAbaby MINU comes with a standard toddler seat which, according to manufacturer, is suitable from 3 months. It offers quite deep recline (it’s not near-flat though). I like the extendable, large canopy with UV sun visor that provides good amount of shade for the baby. Of course there’s great peek-a-boo window with magnetic closure, like UPPAbaby VISTA and CRUZ. Although MINU has small wheels, it handles slightly rough surfaces like cracked pavement or gravel paths. All-wheel suspension makes the ride comfy and smooth, however I would not recommend this stroller for bumpy terrain. Oh, and there’s flip flop friendly parking brake, which is awesome. As for a lightweight stroller, UPPAbaby MINU has really decent storage basket with capacity of 20 lbs. You will fit there your medium-size diaper bag seamlessly. Another great thing about MINU is one-hand folding which is a piece of cake. Moreover, it comes with a shoulder strap for convenient carrying and storage bag – big plus! It’s not only easy to store, but it also makes traveling with baby much simpler. I checked on Amazon what parents say about this new UPPAbaby stroller and it seems like MINU is getting more and more popular. Below you can see what parents mention most often or you can click here to skip to Amazon customer reviews. MINU’s fold is compact (11.5″ x 20.5″ x 23″H) but may be a little too big for carry-on luggage on most of airlines. MINU is stable and strong and won’t tip on its own, unless you don’t hand anything heavy on the handlebar (which may cause the stroller to fall backwards). 1. Since it’s so well-equipped and portable, it can serve as an everyday city stroller or second/travel stroller. 2. As 3-in-1 travel system it can be your only stroller from birth till toddlerhood. 3. Top-notch quality – just like other UPPAbaby strollers. With MINU you don’t have to compromise between quality and portability. Read more about new UPPAbaby stroller features and performance in my MINU review. First in the World rotatable seat unit is of course something that distinguishes Cybex Eezy S Twist from other strollers. You’ll be able to reverse the seat so your baby could face your or surroundings, without the need of removing and lifting the seat unit. Isn’t it great?! Anyway, this lightweight stroller has even more to offer. At weight of 17 lbs it has all the features parents may need, whether they are on a trip, running errands in the city or strolling in a park with their little bundle of joy. The seat is equipped with extendable canopy that shields the baby from the wind and sun quite well. 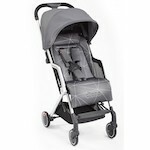 Big plus for Cybex Eezy S Twist for such a high and roomy canopy. However I wish it went down a bit further. The seat itself is awesome as well – it features infinite recline with near-flat position. Such a deep recline, together with soft and rich padding, will be perfect for your infant or toddler who likes to nap during strolls. Moreover, when the backrest is in the lowest position you can add a Cybex Cocoon S and the stroller will be suitable for newborn baby. It’s a perfect solution if you want to have all-in-one, lightweight stroller from birth, but for example don’t have that much space at home for a normal bassinet. Cybex Eezy S Twist takes little space when it’s folded – you can easily store it in a closet, put in a small car trunk, underneath the train seat or take it as carry-on on most airplanes! 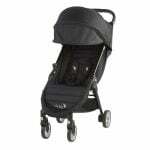 Cybex Eezy S Twist can be also turned into a travel system, since it’s compatible with GB and Cybex infant car seat. So it actually offers two seating options for newborn baby. 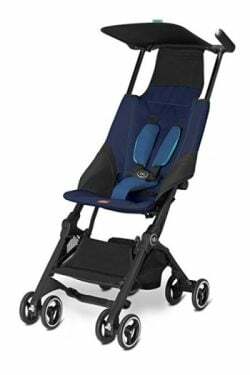 What’s really awesome about the Cybex Eezy S Twist, is that it folds up compactly for convenient storage and transportation. If you’re going to travel with your baby by plane, train and car a lot, this compact fold will be a life-saver. Cybex Eezy S Twist comes in 5 beautiful colors – you can check which versions are currently available here. 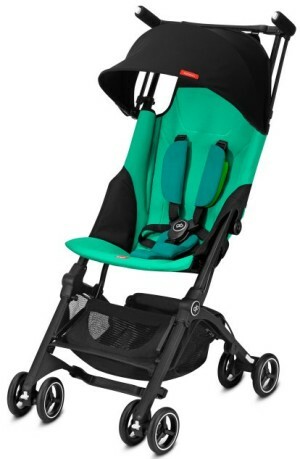 The main seat of Cybex Eezy S Twist is suitable from 6 months. If you’d like to use this stroller from birth you’ll need additional equipment like Cocoon S or infant car seat & adapters (all sold separately). 1. It can serve you as a 3-in-1 travel system and be your only stroller. 2. It has lots of useful features, yet it’s light and easy to carry. 3. Thanks to compact fold you won’t have problems with storing it at home or in a small car trunk. It can be even take as carry-on luggage on some airplanes! Would you like to read more about this stroller performance and overall quality? Take a look at my full review of Cybex Eezy S Twist. Probably everyone heard about famous GB Pockit at some point. It is Guiness World Records most compact stroller! It features the smallest fold in the World: 11.8” x 7” x 13.8” which not only easily fits in overhead compartment on airplanes, but it will also fit in your bag so you can carry it effortlessly (9.5 lbs!! ), when your baby prefers to walk. According to many parents this is the best lightweight travel stroller. The seat is suitable from 6 months up to 55 lbs and has nice padding, however it doesn’t lean down. According to many parent recline would be a tremendous change, and manufacturer decided to add this features to the new model GB Pockit+. Under it there is a small basket. Although it has 11 lbs capacity, it won’t accommodate large diaper bag, rather few essentials. For me the biggest disappointment is the sunshade which is small and weak and doesn’t give protection from sun and wind. The stroller is light as a feather, but very sturdy and stable for this size. You can push it with one hand! GB Pockit works best on flat surfaces, however it can handle small bumps thanks to lockable front swivel wheels. GB Pockit will fit in your bag! At the moment I’m writing this, GB Pockit has over 700 review on Amazon. It’s unbelievable. Here’s a list of main pros and cons, based on parents reviews. Parents also like the wheels as they roll nicely, but sometimes get stuck in harsher terrain and bigger cracks. This stroller doesn’t feature recline seat and we can’t add infant car seat, so it can’t be used for infant who can’t sit up. 1. It’s perfect solution for older child who prefers walking, but sometimes still want to ride in a stroller. When you don’t use it, you can keep it in your bag, because it’s so tiny and light! 2. Travel with baby by plane has never been so easy. We all don’t like many luggage. 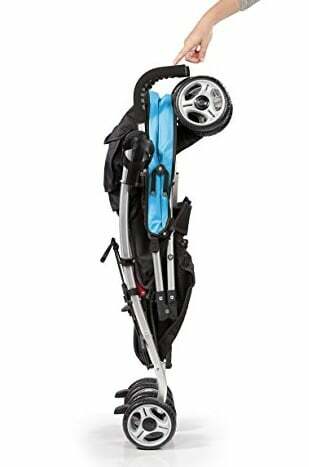 Thanks to GB Pockit size you won’t even realize you have a stroller in your luggage! Since you can take it on the plane, you don’t have to stress it gets destroyed or waste time on waiting for it after landing. 3. It is a lifesaver for parents who have small apartments and want a stroller easy to store. You may also want to read my in-depth review of Pockit Stroller. Diono Traverze was a real hit last year and I have no doubts it’ll still be very popular in 2019. What makes it worth recommendation for traveling parents? This stroller folds up easily with one hand – it literally takes few seconds. Diono Traverze folded dimensions are: 23.6″ x 16.3″ x 9.3″ and it does fit in overhead compartment on many airplanes. It comes with a useful travel cover that keeps it in a compact folded size and protects from getting dirty during transportation. There is a telescoping pull-along handle so you could pull your Traverze just like a suitcase. Getting through airports is so much easier with it. What’s noteworthy, Diono Traverze is right after GB Pockit and Pockit Plus, the most lightweight high-quality travel stroller. It weighs only about 12.3 lbs which is less than BABYZEN YOYO+, UPPAbaby MINU, Baby Jogger City Tour, Mountain Buggy Nano or Silver Cross Jet weighs. 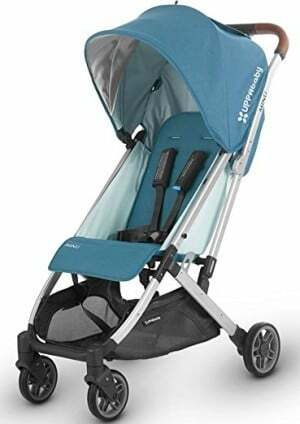 What I also like about this stroller is the cushy seat, mesh sides that provide nice air-flow and mesh ventilation on the canopy with magnetic closure. PRO TIP: Diono Traverze doesn’t have very large canopy. If you want better coverage from the sun check this Diono Traverze Plus with improved canopy (it has additional sun visor). It has one-piece handlebar – which lately gets more popular among lightweight strollers than two separate handles. Thanks to that parents can push this stroller with one hand and steer it without any problems, especially on flat ground. Of course as other lightweight strollers for travel, this one has small wheels too. They work best on city streets, pavement, and paths in park, and of course they are perfect for indoor use: at the mall and airport. 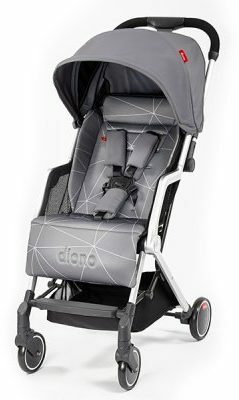 It’s worth to notice that Diono Traverze Stroller is equipped with shock absorbers and all-wheel suspension. It doesn’t mean you can take it off road, but thanks to this equipment it doesn’t get stuck on every crack in a sidewalk. The ride feels really smooth on even terrain. What’s unique about Traverze is that it comes with a flip flop friendly brake which is pretty unusual, even among best lightweight strollers. The storage basket is rather small, but honestly, I’ve seen even smaller bins on lightweight strollers, so it’s not that bad. Besides, you have quick access to your stuff – even when the seat is reclined – thanks to extendable flat on the back of basket. I did some online research about this lightweight stroller to see what other parents say about it. What are the best features and what are the main complaints? Because of the size of the seat I would say Diono Traverze is best for the period between 6 month and 2.5 years. I don’t recommend using this lightweight stroller for newborn baby, because it doesn’t recline fully flat (frankly, the lowest position is not even near-flat). The recline is sufficient for toddler’s nap time though. 1. Folding works like a breeze and doesn’t require using both hands. You’ll love that ease of use when you’re on your own. 2. 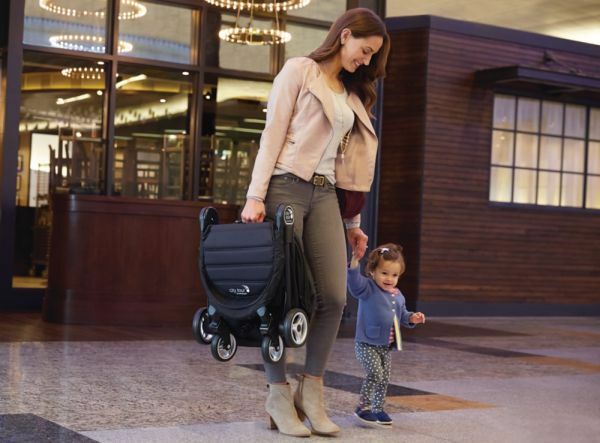 Fold size, light design, included travel cover and suitcase handle make it one of the best lightweight strollers in 2019 for air travel. 3. Thanks to awesome maneuverability it works exceptionally for getting through crowded airport, train station or mall. This is a best seller among lightweight strollers on Amazon and for many parents it is the best lightweight umbrella stroller. It weighs only 13 lbs and features slim fold, and thanks to a convenient strap you can carry it on a shoulder. There is a roomy seat with 4-position recline and adjustable 5-point restrain. The seat goes pretty far down. 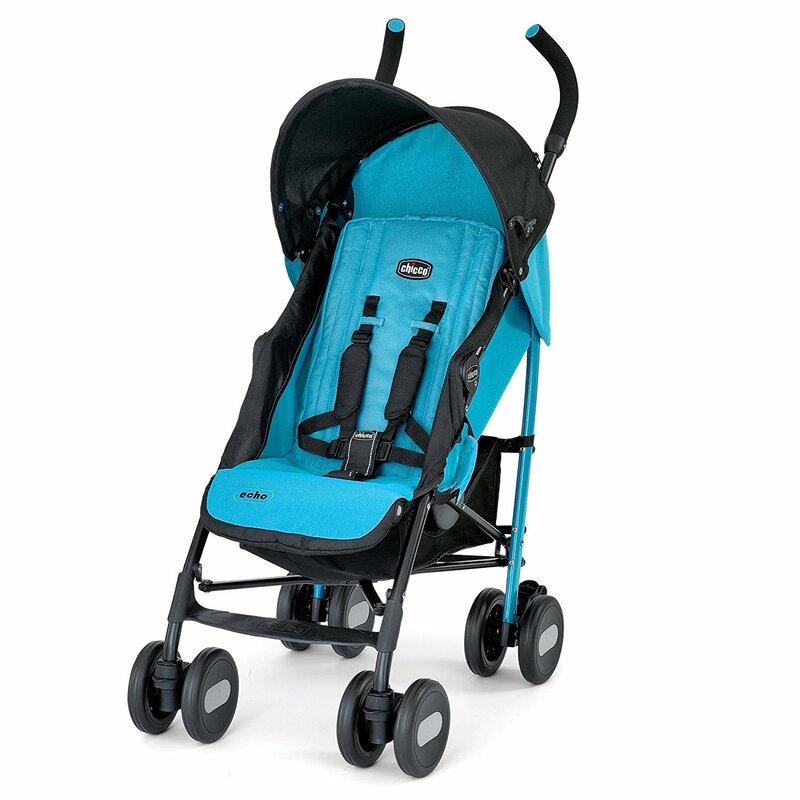 Front wheels are design to absorbs small shocks, so the stroller doesn’t wobble on every bump. Nonetheless dual wheels are not ideal for gravel. It has also big canopy which can be extended, there is also pop-out sun visor. The best part of this stroller is the storage space: it has big basket under and behind the seat which is easily accessible. Considering this is a small, lightweight stroller, the storage space is really impressive. There is additional rear pocket for mom’s belongings like phone or wallet. This stroller over three THOUSANDS reviews on Amazon (at the moment I’m writing this). It is outstanding score! Here are the features that parents consider as advantages and disadvantages. It doesn’t fit in overhead compartment on airplane. 1. This umbrella stroller is so light that you will be able to carry it on your shoulder up and down the stairs while holding your baby in other hand! 2. Thanks to deeply reclining seat your baby will have a comfortable place for naps on-the-go. 3. This is one of the cheapest lightweight strollers, yet it is well-equipped and durable. You can check its current price on Amazon by clicking here. This is one of the more pricey lightweight umbrella strollers, however the previous version has so many positive reviews from other parents and the new model (updated last year) is getting popular as well, so I couldn’t miss it for my ranking of the best lightweight strollers this year. Especially because the last year upgrades for G-LUXE 2018 are so handy. The biggest change is the front wheel design – the new UPPAbaby G-LUXE 2018 has single front wheels, in contrast to the previous model which has dual wheels. The new wheels don’t get stuck on gravel that much! There’s also all-wheel suspension for baby’s and your comfort. The seat is nicely and softly padded. The fabric and padding are removable and machine washable. It also features pretty deep recline which, according to manufacturer, is suitable for baby from 3 months. To lower or raise the seat you just need to press a button – you can do it easily with one hand, while holding your baby with other hand. There is also an adjustable footrest. The seat can accommodate child up to 55 lbs. The backrest is quite long and there’s plenty head room, the seat is also deep – perfect for older toddler or taller baby. There is also extendable canopy with SPF 50+ protection. The frame is made of aluminum which makes the stroller very light. However it is still robust and stable. There is an easy to use parking brake – press red pedal to stop and then press green pedal to stroll again – no lifting, no ruining pedicure! G-LUXE is fairly easy to fold (you don’t need to use your feet) and once it’s folded it stands on its own. 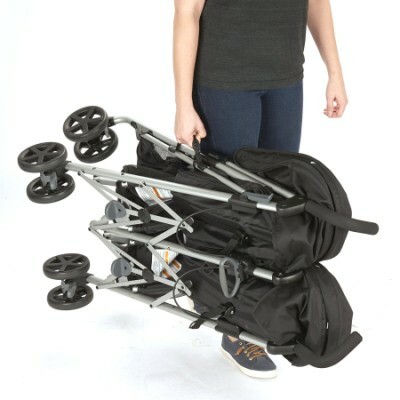 It’s not as compact as Pockit or YOYO+, – it doesn’t fold up into a package, it folds like an umbrella stroller. It’s still pretty slim and easy to store at home or in a car trunk. It is also pretty easy to carry with a shoulder strap, since it weighs only 16.3 lbs. In addition to the shoulder strap, the cup holder is included as well. Previous version of UPPAbaby G-LUXE has dozens of positive reviews, the newest version is on the market since winter 2018 so it doesn’t have that many customer reviews yet, but I have no doubts it will be getting more and more popular (check current number of reviews). It’s not all-terrain (like most of lightweight strollers), so it vibrates when going over bumps. Moreover, G-LUXE is not suitable from birth, it doesn’t work with infant car seats. 1. It comes with a useful and good-quality cup holder, so you don’t have to spend extra money on this accessory. 2. You can keep folded G-LUXE in the car trunk and use it for quick trips to the mall, grocery store or coffee shop. 3. It can accommodate younger infants, from 3 months, as well as tall toddlers and older kids (thanks to high canopy and roomy seat). 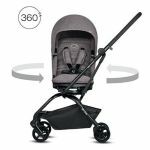 UPPAbaby G-LUXE is one of the most expensive umbrella strollers, so before you decide to buy it, check if there are any available discounts and read what other parents who own this stroller wrote about it on Amazon. 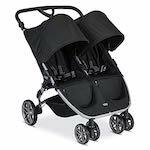 Want to find more information about UPPAbaby G-LUXE? Here’s my full review! This is another one of the best lightweight strollers for 2019, because it’s well equipped, yet very compact and suitable for travel by plane. It has padded seat with multi-position recline. The seat goes to near-flat position so it provides comfortable space for snooze on the go. Maximum capacity is 45 lbs. 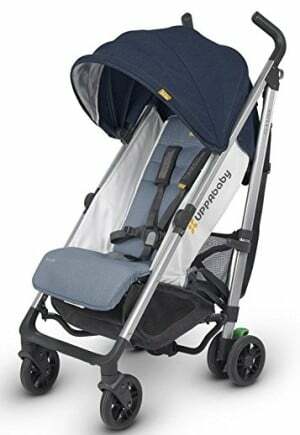 There is also big expandable canopy that protects baby from harmful sun rays (UV 50+). It has nice peek-a-boo window. City Tour folds with one hand into a small pack. Then we can fit it to a travel bag that can be carried as a backpack. Since it weighs only 14.2 lbs, it’s super convenient to carry around! Thanks to such a compact fold the stroller meets carry-on regulations for most of the airlines (dimensions: 22″ x 17.7″ x 9″). Auto-lock keeps stroller closed. Baby Jogger City Tour 2017 has one more big advantage. It has one classic handlebar, instead of two handles like many lightweight strollers. Thanks to that, we can push this stroller with one hand. Under the seat there is a decent storage basket where we can fit our essentials. This stroller is very popular on Amazon and has many fans. Here are the things that parents often mention. This stroller is not compatible with infant car seats and it doesn’t recline flat, so it is not suitable for newborns. 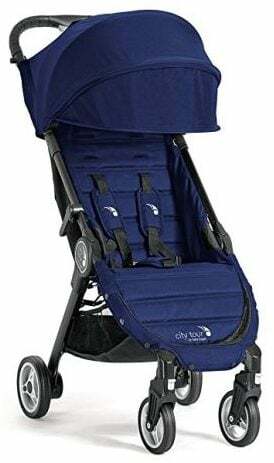 However, there is a new model – Baby Jogger City Tour LUX, which features car seat compatibility and fully-flat recline. Here is my review of City Tour LUX. You can also check it on Amazon. 1. Travel bag is included with the stroller, you don’t have to pay extra for it. 2. This stroller is easy to store and transport. It’s perfect for parents who have small cars or don’t have much free space at home. 3. It’s excellent for traveling by plane and visiting old towns – the wheels handle even cobblestone. On the market there is a wide selection of double lightweight strollers for toddler twins. 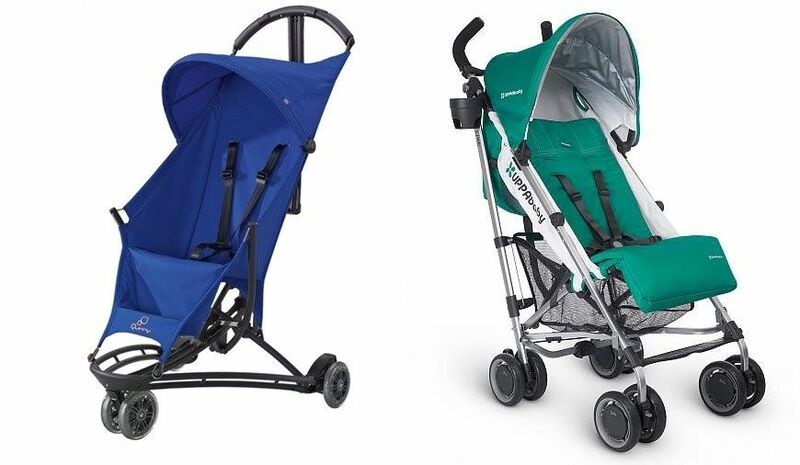 Some brands even offer the same strollers in both versions – single and double. As I have twin toddlers, I have recently faced the task of choosing double lightweight stroller for them. I’ve tested couple models and choose the best ones. Here is my list of the best double lightweight strollers for toddlers in 2019. Ultra-lightweight – carrying a double stroller has never been so easy! This is absolutely one of best selling double lightweight stroller on Amazon. No wonder! It weighs only 17 lbs, which makes it lighter than many single strollers (for example 3Dtote Convenience Stroller and Britax B-Agile 3). Each seat is suitable from 6 months up to 50 lbs and recline individually. It is a great feature because one baby can take a nap while the other one is sitting and watching the world. There are huge 3-panel expandable canopies, each has a peek-a-boo window with magnetic closure (big plus!). Under the seats there is a good-sized storage basket, there are also additional pockets where parents can keep their essentials like keys and phone at hand. Many parents use it as an everyday lightweight stroller. It’s sturdy (especially for such a light design) and pretty easy to maneuver with one hand, mostly thanks to one big convenient handlebar instead of two small handles. With two older toddlers steering requires using rather two hands. It folds and opens in few seconds, which makes it perfect for using public transportation and travels. It’s a great space saver for for parents who small apartments and it fits easily in major or car trunks. The newest version of this stroller – ZOE XL2 BEST v2 is a little bit heavier than the previous version (17 lbs instead of 16 lbs) but it features improved wheels. They make the stroller easier to turn and suitable for more types of terrain. This version has also deeper recline and bigger 4-panel canopies. I checked customer reviews on Amazon to find out what parents think about this double lightweight stroller. Here are the main features that parents praise and dislike. Although the basket under the seat is pretty big, it rather won’t fit large diaper bag because of a bar in the middle. This stroller doesn’t feature car seat compatibility and flat recline, therefore it can’t be used for newborns, only from 6 months. 1. Thanks to individually reclining seat, great weight distribution and balance, it can be used for twins or kids with age and size differences without any problems. 2. It comes with many accessories included for FREE: parent cup holder, two child cup holders, one snack cup and one padded double front belly bar. 3. According to many parents this is the best double lightweight stroller, considering its numerous features, ultra light design and affordable price. Do you like ZOE XL2? Before you decide to buy it make sure it meets your needs and read more reviews written by other customers on Amazon. This is another TOP double lightweight stroller for 2019. It weighs 25.4 lbs which means it’s light enough to carry up and down the stairs or to lift and put in the car trunk. It is 27” wide, so it easily fit through standard doorways. The seats feature individual multi-position recline, soft padding and two-position foot rests. Each seat can accommodate baby up to 45 lbs. Canopies are not the biggest ones, but they have extendable sun visors. Minno Twin Stroller has front wheel suspension and the front swiveling wheels can be locked for more harsher terrain. These feature provide easier pushing and smooth ride for babies. However, these dual small wheels are designed rather for flat surfaces. Many parents use it for trips to the park or Disneyland. 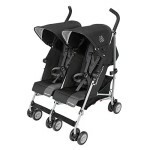 I can recommend it as one of the best double lightweight strollers for city use. This stroller features really one-hand compact fold and self-stand. Once it’s folded, it doesn’t take up much space at home or in car trunk. There is quite big storage space, however not every diaper bag will fit in the basket behind the seat, because it is divided with a bar in the middle. However medium size bag should be okay. Last time I check this stroller on Amazon, it had over 80 reviews (it changes quickly so check the current rate on your own). Here are the things that parents mention most often. Folding is moderately easy but it takes some practice. Due to small dual wheels, this is not an off-road vehicle. 1. This is a great, small stroller for parent who are often on the go with kids. 2. Thanks to spacious seat, it can be used for longer period, also for bigger toddler or as a stroller for older child (even 5 year old). This double lightweight stroller has probably the biggest capacity – 110 lbs! It features multi-position recline seat with soft padding, suitable from 6 months. Canopies are large and have pop-out sun visors which gives babies really good coverage. 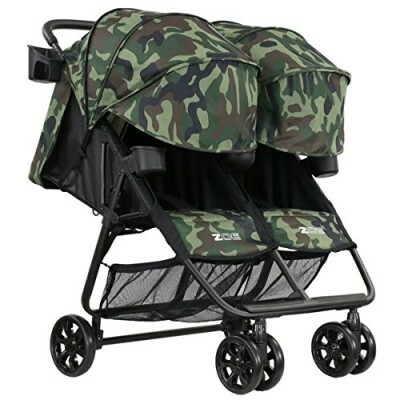 In fact, these are the biggest canopies among double lightweight strollers I’ve ever seen! Hoods are also waterproof and they adjust independently. Twin Triumph has 6 dual small wheel which are better for flat surfaces and off-road strolling. However, there is a suspension, so the ride it a little bit cushioned. This double stroller is a little bit heavier than others in this category (21.2 lbs), but it has to be strong and robust to hold these 110 pounds! I’ve read over a dozen other parents’ reviews of this stroller. In the table below you can see features that parents like and dislike the most. You can also read the customer reviews on your own – just click here to skip to Amazon. Folding takes some practice. After folding this stroller is not the most compact one, but it won’t take up the whole car trunk for sure. 1. This stroller is a good investment – it can be used even for 4-year-old children. And with such a huge weight limit, it can accommodate heavier kids. 2. With these incredibly large canopies your children will be always protected from the sun and wind. 3. As for a lightweight stroller with small wheels it rolls very smoothly and quietly! This is one of the cheap double lightweight strollers. It has two side-by-side seats with adjustable leg rest. The seats recline independently and there are 4 positions to provide the best comfort for little riders. The seats are suitable for babies at least 6 months old and each can accommodate a passenger up to 40 lbs. Chicco Echo Twin has six dual wheels which is quite common solution for double lightweight strollers. Front wheels are lockable and pivoting and have suspension to ensure comfy ride. Of course this suspension is different from joggers’ suspension therefore this stroller will work definitely better on even terrain than bumpy trails. 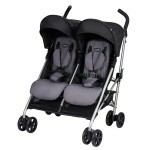 Chicco Echo Twin is great lightweight travel stroller! It folds easily and has compact size when folded so the transportation and storage are simple. This double lightweight stroller has one more big advantage: the canopies can be adjust individually and there is a zip at the rear flaps for additional ventilation. I only wish Chicco Echo Twin had one classic handlebar instead of two handles. But that’s only a little flaw, aside from this one thing, this stroller is worth recommending. Last time I checked Chicco Echo Twin on Amazon it had over 60 reviews written by parents. What features what praise and what function they don’t like? This stroller works great mainly on flat surfaces – you can use it for going around the mall, airport, even sidewalks. It doesn’t handle cobblestone well. 1. It can serve as a stroller for twins or for a baby and toddler. 2. Compact fold is useful for parents who want to keep it in a car trunk or for those who often use public transport. 3. Great stroller for trips to the zoo or museum – when babies get tired, they can take a nap in comfy, reclined seats. This is a double version of famous and best-selling Britax B-Agile stroller. The functions are very similar, however there are two major differences: Britax B-Agile Double has adjustable handlebar and it is not compatible with any infant car seats, which means it cannot be used from birth. This stroller weighs 26 lbs which is a decent weight as for an everyday double stroller. There are two separately reclining seats – reclining mechanism is nothing fancy, it’s just a strap and buckle, but the recline is really deep. Your toddlers will be able to lie back and take a nap in a comfortable position. The seats are suitable for kids with neck and head control. Each seat has large canopy with mesh peek-a-boo window which gives baby extra air-flow and you the ability to check on him whenever you want. B-Agile Double has all-wheel suspension, however the wheels are not big, so it’s not an all-terrain stroller. It handles city terrains, like sidewalks and light gravel, but not unbeaten roads. Folding is not very difficult, you just need to pull the strap in the middle of each seat. It works exactly like in a single version, so fold size is simply twice as big as B-Agile Single. This stroller has quite a lot of positive reviews on Amazon, however there are also some critical opinions. You can read them on your own (here) or check the table below where I put the main advantages and disadvantages that customers mention. Britax B-Agile Double doesn’t have option of travel system – you cannot attach infant car seat to it. 1. It’s very easy to push and steer and it turns on a dime! 2. It’s made of good-quality and durable materials. 3. Folding and opening is hassle-free. Lots of parents fell in love with single version of this travel stroller and this year Diono has prepared also a compact stroller for parents of two kids. All fantastic features of Diono Traverze times two! 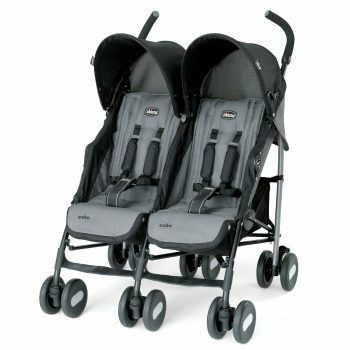 Diono Traverze Twin looks exactly like two single Traverze strollers joined together. The seats adjust independently and recline to near-flat position (note that original single Diono Traverze doesn’t have such a deep recline). Each seat is nicely padded and feels very cushy. Sides are made of mesh which provides nice ventilation to the stroller interior. Each seat can accommodate a child up to 45 pounds. There are two separate canopies – each has two panels. They give lots of head room, but they do not extend very far. Therefore when the seat is in most upright position the canopy does keep the sun out of child’s eyes, but in a full recline the protection from sun is worse. What’s noteworthy, the stroller can be used from birth as it is compatible with infant car seats (Maxi Cosi, Nuna and Cybex). We don’t know yet if it can hold one or two car seats. You’re probably curious if Diono Traverze Twin Double is as easy to fold as the single stroller. The answer is: yes, it is! Folding mechanism works very smoothly and doesn’t require using both hands! The stroller folds up neatly within 2 seconds. Size of the folded Diono Traverze Double is exactly twice as big as the size of folded single Traverze. So it’s flat and short, but of course this one is wider, because it is a side-by-side stroller. Are you wondering whether this stroller is also twice as heavy as single Traverze? It turns out it has been slimmed down a bit – it weighs only 22 lbs which means it’s one the lightest strollers for two kids! It’s very easy to lift, so you won’t have problems with storing it in a car trunk, even when you’re on your own. 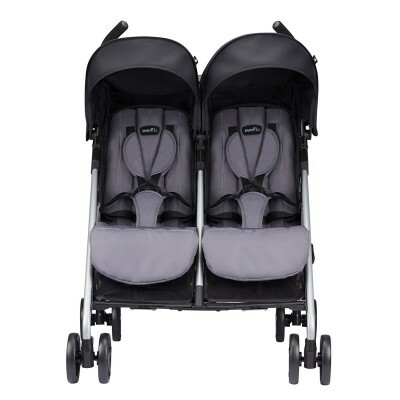 I have a feeling Diono Traverze Twin will be one of the most popular and best double lightweight strollers in 2019! This new lightweight stroller for twins and siblings should be available from May 2019. Diono Traverze Twin Double has small wheels which are not good for rough terrain. 1. It’s one of the lightest strollers for two kids – you won’t have any problems with lifting or carrying it. 2. It’s a breeze to fold (with one hand!) and the size is really compact. It will probably fit in most car trunks. 3. It maneuvers smoothly and on flat ground you can even push it with one hand – thanks to one-piece handlebar. Still wondering how to choose the best lightweight stroller for toddler? Here is my lightweight strollers buying guide! Lightweight strollers are designed for toddlers and this type is usually used as a second stroller. Usually parents buy them when the baby is too big to ride in a bassinet or an infant car seat or when they realize they need smaller and more portable stroller for trips and travels. Babies grow so fast. One day you are pushing your little one in a bassinet, the next day your baby can sit up straight and has developed head and neck control. Suddenly, your little one is not so little any more and the infant car seat frame or pram you’ve been using, are no longer suitable! It is the perfect time to switch to a lightweight stroller or umbrella stroller. Once again you have to face the issue of choosing the right baby stroller. Which model is the best? How much should it weigh? Is it safe enough for the baby? Are the wheels big enough? In my review I will try to answer these and many more questions you may have. The lightweight or umbrella stroller is generally the second stroller that parents buy, after a standard one, pram or infant car seat frame. Even if the first stroller is convertible and has also a toddler seat, at some point parents realise that they really need more light and compact stroller. Lightweight and umbrella strollers are much smaller and lighter than convertible standard strollers, prams or joggers. They usually weigh from 8 to 17 lbs. 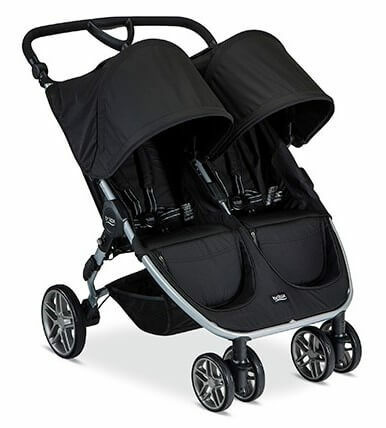 The best lightweight strollers fold up very easily and have carry straps. This type of strollers is great for traveling and using public transportation. They are also very easy to storage and transport in a car trunk. Remember: Even the best lightweight strollers and umbrella strollers are not suitable for babies under 6 month, because they don’t provide enough protection and support for their delicate spin and head, and they don’t have enough suspension to absorb shocks. Therefore the baby under 6 m.o. (who doesn’t have neck and head control) can be exposed to bumps and more vulnerable to injury. Lightweight strollers are not off-road friendly and because of the small size they sometimes lack features that standard strollers have. But this type of pushchairs have specific purpose and serves it perfectly. Besides, nowadays lightweight strollers are very flexible and offer a variety of functions. For some parents lightweight stroller might be the primary vehicle. It happens, when parents use infant car seat frame and practice baby wearing when their baby is a newborn. When the baby gets older they start using a lightweight stroller as their primary stroller. Thanks to this approach, parents can reduce the amount of baby gear to buy, which is very useful when their budget is limited. They can not only save money, but also save space in their home! In this category of strollers we have two different types. First of all, we have typical, normal lightweight stroller. It is smaller than standard-sized stroller, but still has many practical features. Usually lightweight stroller weighs 10-20 lbs. Generally these products have reclining seats, canopies, underseat baskets, some of them have adjustable foot rests and include cup holders. They provide a comfortable ride for the little passenger, as well for the parent. Sometimes lightweight stroller is the primary (or even the only) stroller in the house! This type is very easy to use, fold, storage and transport. Some of them offer one-hand folding, automatic lock and self-standing. 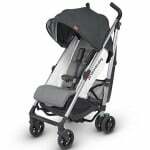 We can place the lightweight strollers between standard-sized and umbrella strollers. They provide the best of these two categories. 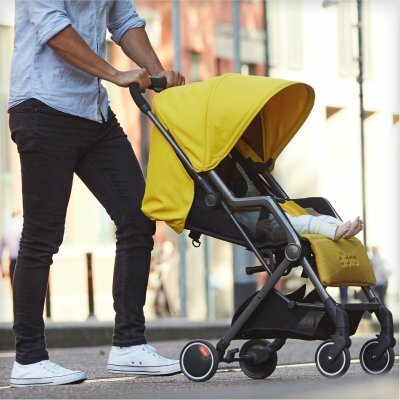 The best lightweight strolles are the ones that are pretty small, but also very useful and convenient! Examples of lightweight strollers: The Recaro EasyLife, UPPAbaby G-LUXE, Graco Breaze, Graco LiteRider and Chicco Liteway. The other type is umbrella stroller which is even smaller than lightweight ones. Umbrella usually weighs around 10 lbs or less. Many models folds simply into small package which can be carried on a shoulder. They are easy to use, but they lack many features and convenient items. Many of them have only a canopy and a harness to provide better comfort of riding, but lacks a storage basket. Umbrella strollers are smaller and lighter than normal lightweight stroller, but they are also less versatile and less comfortable for longer trips. Examples of umbrella strollers: The Quinny Yezz, GB Pockit, Maclaren Mark II, Inglesina Net, UPPAbaby G-Lite, ZOE XL1. These two types are very similar, both are great for travelling and transporting. But they also have few differences which I present you in the next section. Looking for an umbrella stroller for big kids? Check out my ranking of the best strollers for bigger kids! Many lightweight stroller have more features and convenient items. Now I would like to discuss few important features of this category of strollers. As I mentioned before, lightweight and umbrella stroller differ in size. Generally these strollers are smaller than standard or jogging ones. We can say that this category of strollers were made because parents needed smaller and more compact pushchair for their babies. Size is one of the most important features of lighweight strollers, because it has an impact on baby’s and parent’s comfort. Of course small size is a big advantage of this type of stroller, but if the stroller is TOO SMALL it very uncomfortable for the little passenger. On the other side, if the lightweight stroller is TOO BIG it won’t be suitable for travels and quick transportation (and of course it will fail to meet the user’s needs). There are many lightweight and umbrella stroller in a good size, very compact and easy to transport. But there are also some lightweight models that looks actually like a standard-sized strollers and are unsuitable for travels. On the other hand we have so small, light and fragile umbrella strollers that they are actually more suitable for dolls than children! 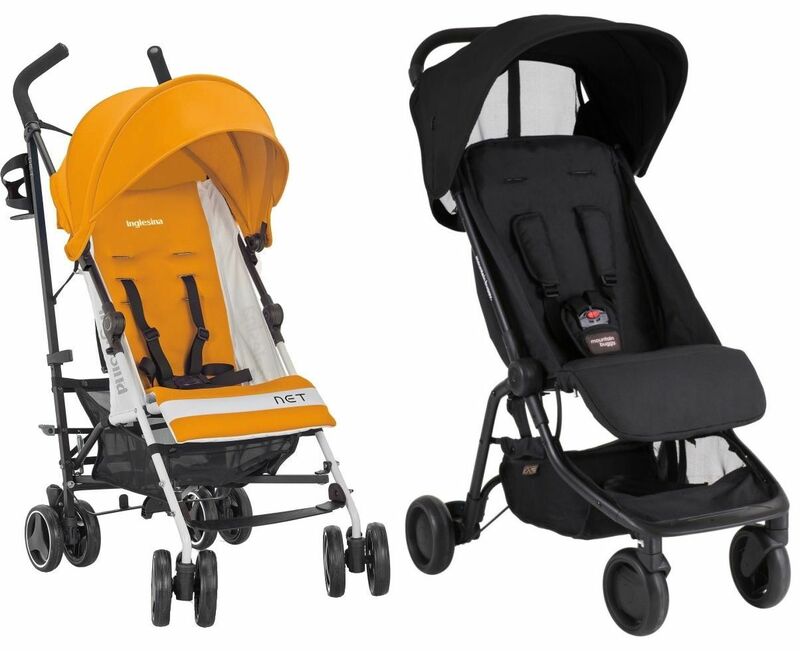 Below you can see some photos of side profiles of different lightweight and umbrella strollers. I hope it will give you a perspective on how these strollers might vary in size. Top row from left: Graco Breaze, Chicco Echo, Mountain Buggy Nano, Joovy Groove, Graco LiteRider. Bottom row from left: Quinny Yezz, Recaro EasyLife, UPPAbaby G-LUXE, GB Pockit, UPPAbaby G-Lite. All of these strollers vary in size and weight, but they belong to one category: lightweight and umbrella strollers. The difference in size and weight might be a deal breakers, if we consider carrying the stroller, folding and transporting it. Too big stroller won’t meet parent’s needs, but too small stroller will be unconvenient for the passenger. It is very important to find the best size for our needs. As the name says, lightweight stroller should be of course light. Nevertheless, lightweight doesn’t have to mean fragile and shaky. Parents should look for a stroller with light frame (usually they are made of aluminum), but also sturdy, stable and durable. Of course there are frames so light and fragile that they look as if they were about to break during first stroll! But there are also many products with frames that combine light weight and stability. For example, Recaro Easylife frame is very robust and reliable! Most of the strollers in this category have dual front wheels (two wheels on each front leg). Only few models have normal single front wheels design. Interestingly, many of these stroller with dual front wheels, have problems with maneuverability and getting over bumpy terrain. They have also troubles with getting stuck in gravel or grass. This issue refers for example to GB Pockit or UPPAbaby G-LUXE. Strollers with single front wheels have better maneuverability, for example Quinny Yezz and BabyZen Yoyo + are very agile and easy to push and don’t have problems with changes in terrain. Also strollers with one dual front wheel (one leg instead of two) are more maneuverable and handle small spaces easier. It seems that in this category smaller amount of wheels is associated with better maneuverability. However, dual front wheels design is very common in this category of stroller. Nevertheless, it clearly causes problems with maneuverability. You should keep that in mind while choosing the best lightweight stroller for your baby. Single front wheel design is definitely better, especially if the terrain in your neighborhood is not completely flat. Regarding safety we have to consider few things. First of all: brakes. Some models in this category have single action brakes, others have double action brakes. The first one is definitely easier to use, beacuse we have only one pedal to set and release the brake. A great example of stroller with amazing and easy to use brake is BabyZen Yoyo+. Sometimes brakes have also a color indicator that informs us if it’s set properly. It is user-friendly mechanism. Most of the lightweight strollers have foot-operated brake. Hand-operated brakes are more popular in joggers. Strollers with double action brakes or two pedals are more difficult to use, because parents can make a mistake or fail to engage both pedal simultaneously. The best brake is the one that we can operate quickly and get used to. This is another important feature that parents should consider when buying a lightweight stroller. The second dafety feature we should pay attention to is harness. The best one is the 5-point harness with adjustable straps, which provides comfortable ride for babies of different age. In general, lightweight stroller are less versatile than standard-sized strollers, but more flexible and functional than umbrella. But remember that having many features is an advatange only if they work properly! When we are looking for the best lightweight stroller, we should consider if it has a good-sized canopy with proper ventilation, SPF 50+ and peek-a-boo window. 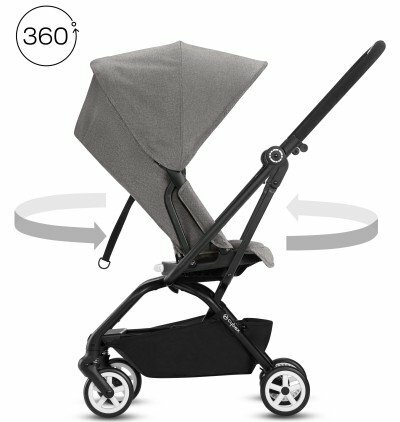 For example, Maclaren Techno XT and ZOE XL1 has a big sunshade that provides great cover on both sides and over the baby’s head. On the other hand, we have GB Pockit that has only a small overhead hood. Another features we should pay attention to are: reclining seat, adjustable footrest, adjustable handlebar, suspension, harness and extra accessories like cup holder. Here I present you some question which I hope will help you to find the best lightweight stroller for your baby. Are you looking for a lightweight stroller for running errands in the city center? Or will you be using it in parks our country area? Do you want a compact stroller for traveling by car and plane? Or maybe you want a stroller for family trips to the ZOO and Disneyland? The way you will be using the stroller and the terrain you are planning to stroll over is very important. It should influence your decision which stroller you should buy. If you want a stroller for everyday city use, agile and small enough for quick getting through small spaces and using public transportation, you should pick a compact stroller like Quinny Yezz or GB Pockit Stroller. They are very easy to use and fold. Quinny Yezz is very light and after folding you can carry it on a shoulder. On the other hand, GB Pockit turns into a small package after folding, very easy to storage and transport. However, if you want a stroller for day trips to the park and grocery stores, you should look for a bigger pushchair, with more features for the passenger’s comfort (your baby will be spending in it many hours!) and underseat basket. A great example of that stroller is UPPAbaby G-LUXE. As you can see, size is not the only feature you should consider when buying a lightweight stroller. Another important thing is how you will use it. If you find a stroller, matching your lifestyle, it will meet your needs. Each parent has different needs, therefore for everyone a different stroller will be the right one. There are so many strollers on the market today, that I’m sure you will find the best one for you, with the features you want and fitting in your budget. Will you be using this stroller every day or just several times a year during trips? Only for quick running errands or day trips? Depending on that, you should choose a stroller that will provide you and the little passenger comfortable ride. Here are some features you may consider to increase the comfort of using and riding a stroller: adjustable footrest, reclining seat, good-sized canopy. 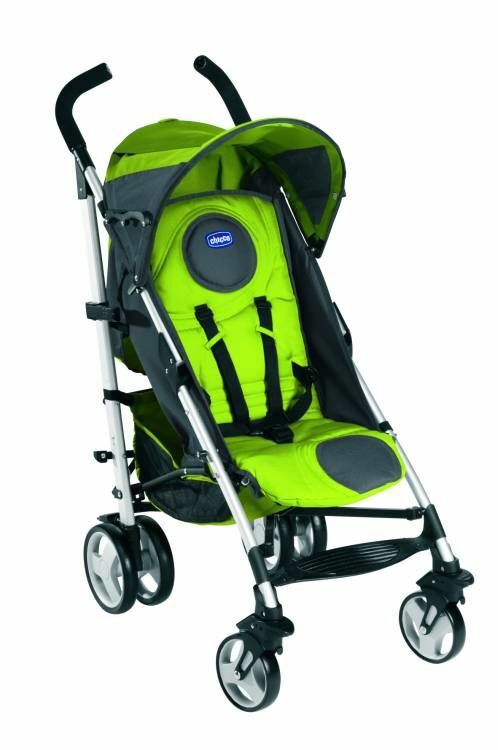 Great example of a stroller that has these three features is Mountain Buggy Nano, one of the best lightweight strollers. Another functions for better comfort are: underseat basket, storage pockets, cup holders… Generally, the longer you are planning to be out and strolling, the more features and comfort you will need (for you and your child). For example, if your trips will be short and you have limited budget, Inglesina Net might fulfill your needs. It doesn’t have many convenient features, but is light and compact. But if you want a stroller with more features for longer journeys you should consider Graco Breaze or Chicco Liteway. Another important thing is the quality of the stroller. If you plan to use this stroller really often and want it to last for couple of years, you should consider investing in a high-quality product with more features, to avoid getting frustrated every time you go for a stroller. So you already know where, how often and how long you will use the stroller. Now it’s time to consider how much money you want to spend on this baby gear. Generally lightweight strollers are cheaper than standard-sized and jogging pushchairs. 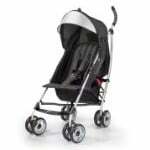 But of course you can find in this category very similar strollers in a wide range of prices. First of all, some parents might limit the amount of baby gear to buy, by using the lightweight stroller as a primary one. There are lightweight strollers with an option of installing an infant car seat. Parents might also practice baby wearing and use the infant car seat frame, during the first 6 months and after that buy the lightweight stroller as a first vehicle for the baby. If you can buy one product instead of two, you can not only safe space in your home, but also stick to your tight budget. Besides, if you are going to use the stroller only once or few time a year, there is no need to strain your wallet, but purchasing the cheapest stroller that performs poorly is also not the best approach. There are some strollers on the market, that are good-quality, have many comfort adjustment and are pocket-friendly at the same time. There are also high-end products with a lot of features, modern design and of course higher prices. 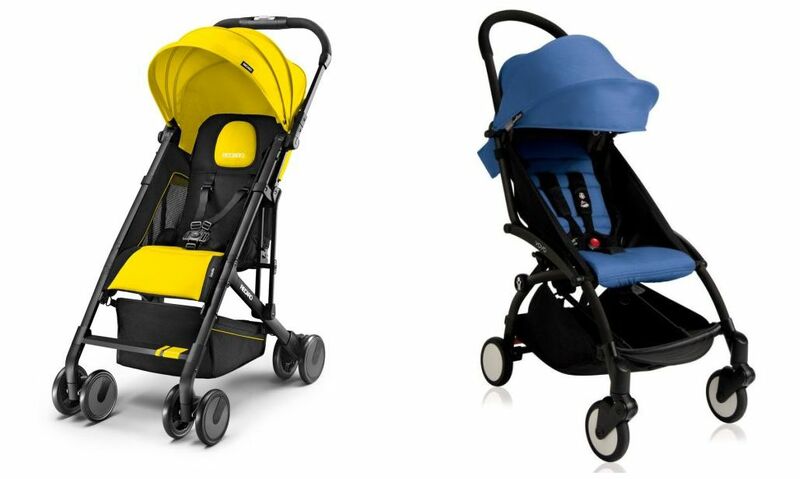 For example, we have Recaro Easylife vs BabyZen Yoyo +. 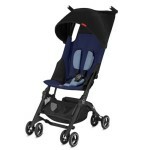 The first one has many great features for both parent and a child comfort and costs around $250. The second one costs twice as much but it is also more advanced lightweight stroller. 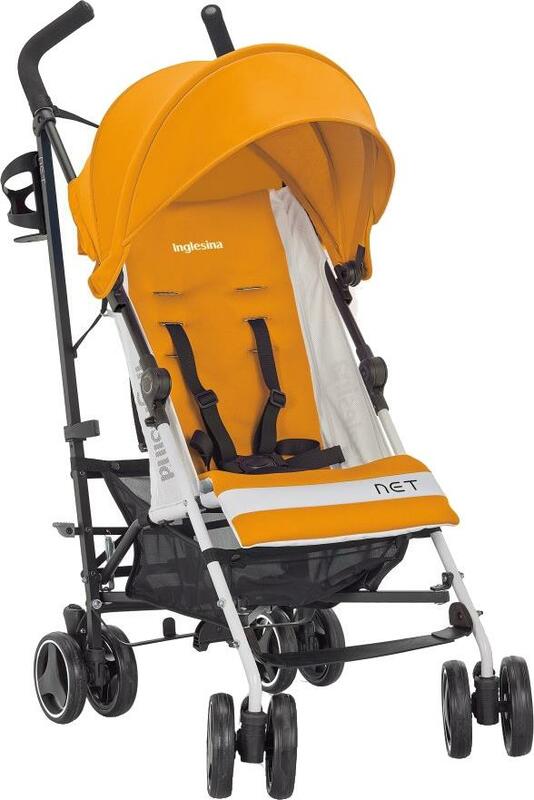 If you are not going to use the lightweight stroller very often and you don’t need many features, Inglesina Net is a great choice. It’s small, compact, easy to fold and costs around $150. Nowadays there is a wide range of strollers, with many different features and functions and at different prices. I hope my tips will help you to define what product you really need and choose the best lightweight stroller for your family. 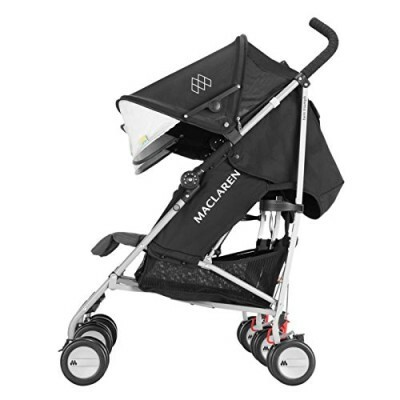 You can also check out Maclaren lightweight strollers that have upright position: Maclaren XT Techno, Maclaren Mark II and Maclaren Quest. I want to buy a lightweight stroller but I need something I could use for newborn baby. It should be light but not wobbling on every bump. Any ideas? If you want a stable and sturdy lightweight stroller I can recommend you BABYZEN YOYO+. You can use it since birth with newborn nest or an infant car seat. And when your baby can sit straight you just simply change the fabric and the stroller is ready for a toddler 🙂 You can see the newborn mode here. Besides, it has single wheels and 4-wheel suspension which makes it easy to push on uneven sidewalks and grass. It maneuvers really great. The second stroller that I could recommend you is Mountain Buggy Nano. 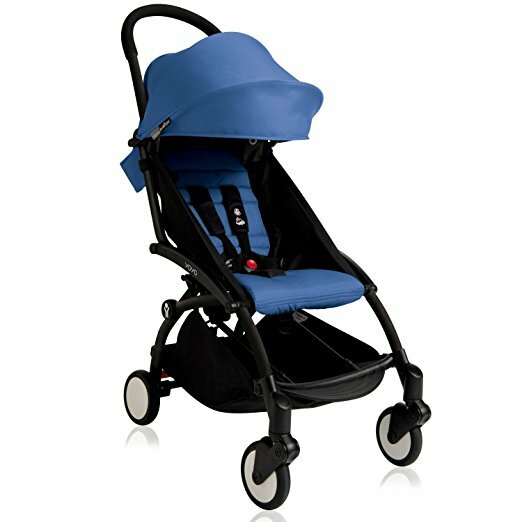 It also has a single front wheels design which gives the baby more comfortable ride and the parent more easy pushing. And you could also use this lightweight stroller for your newborn with a special newborn carrycot or an infant car seat. Both strollers work awesome for travel. They fit into overhead compartments on most of airplanes! I hope this will be helpful for you. Let me know if you have more questions, take care!